An application has been made to give Eilean Glas in Scalpay, Outer Hebrides a makeover. 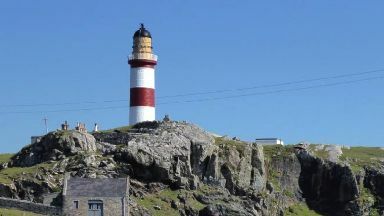 One of Scotland's oldest lighthouses in the Outer Hebrides could be set for a makeover. Scalpay's Eilean Glas lighthouse is one of four lighthouses which were the first to be built in Scotland. Now a planning application to revamp the listed building has been submitted to Comhairle nan Eilean Siar. The lighthouse is operated by Northern Lighthouse Board (NLB) and its plans for the structure include improvements to the boat landing facilities and the updating of outdated operating and monitoring equipment. The Lighthouse's existing Sealed Beam Lamp Array, which was installed in 1981, is also set to be upgraded in the works. NLB's plans also state that all operational buildings on the site will be fully refurbished and redecorated externally and internally. NLB owns the lighthouse tower, adjoining control rooms, the welfare building and the site's helipad.